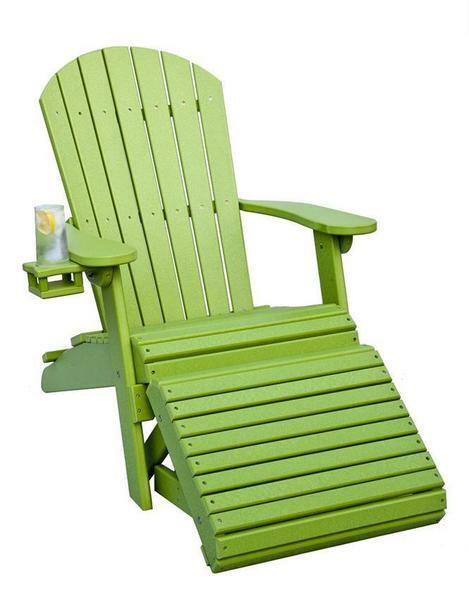 The handcrafted Amish Poly Adirondack Chair with Optional Folding Ottoman is available in a variety of vibrant poly colors and finishes to fit your personal tastes and complement any outdoor decor. This popular poly Adirondack chair also comes with an optional cup holder, so you can sip your favorite drink while you relax anywhere. Customize the details and let us help you furnish an outdoor space that you can love for decades. Choose the same for a solid color, or combine two for a customer two-tone look.